We offer a super picnic basket for your day out, (Call or email us for upto date prices) picnic basket includes, Crusty bread and butter, Cheeses, Ham/Chicken, Salad, Coleslaw, Potato salad, Pickles, Apples, home made cake and hot and cold drinks. 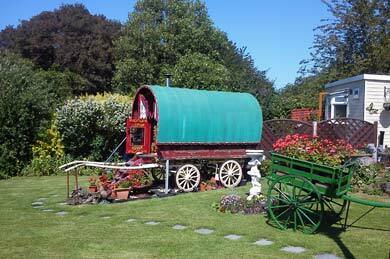 We can also provide a traditional home cooked Gypsy evening meal with a choice of the following menu. Steak and Kidney Pudding cooked in a cloth. Bacon Pudding also cooked in cloth. All served with seasonal Organic vegetables. Call or email us for upto date prices on our 2 course or 3 course meal, both meals include a bottle of Red or White wine. Bread Pudding or Gypsy Tart. 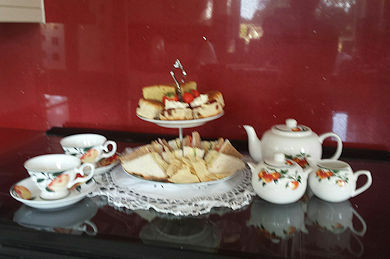 Or alternatively if you prefer, an afternoon tea with a selection of sandwiches, homemade cake and scones. Please book all food in advance. full amount payable at time of booking by cheque or bank transfer. Gift vouchers are also available.